Bristol Old Vic launches virtual 3D tour of its new front of house spaces – visit from the comfort of your home! 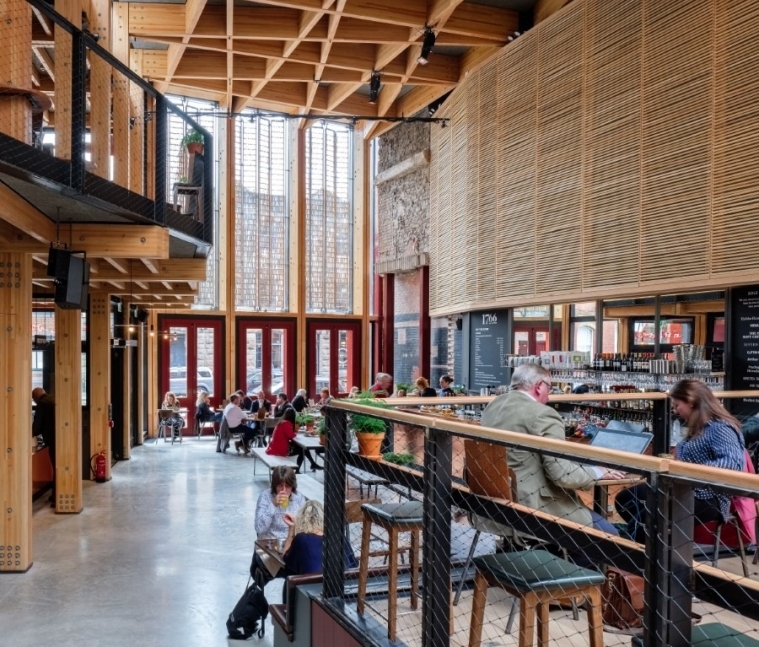 Bristol Old Vic has released a 3D walkthrough of its newly refurbished front of house space following the recent completion of its multi-million-pound redevelopment, which opened to the public in September 2018. The 3D tour includes the new 1766 Bar & Kitchen and provides glimpses of the theatre’s Heritage Lottery-funded art installations and exhibitions. Viewers are also able to step inside the historic Georgian auditorium and explore the space from all angles. The 3D virtual tour is an extension of Bristol Old Vic’s welcome to everyone, giving those with access requirements, or from further afield, an opportunity to step inside the historic building without physically being there. Using state-of-the-art technology, Bristol Old Vic is committed to using every possible opportunity to make the trip to the theatre as easy as possible. The walkthrough was created in conjunction with 3D Visual, a Bristol-based 3D marketing service provider, specialising in 360° photography and property mapping. The virtual tour allows audiences to scope out the building ahead of their visit, familiarise themselves with the theatre’s access facilities and examine various fields of view in the auditorium. The walkthrough encompasses all four floors of the theatre, from the Theatre Pit to the Gallery and can be viewed in 3D, in ‘Dollhouse’ mode or as a Floor Plan. It can be accessed on any device, including desktop computer, tablet, iPad or mobile phone. For a more immersive experience, visitors can also access the walkthrough with a Virtual Reality headset. The walkthrough can be accessed on Bristol Old Vic’s ‘Your Visit’ page and will remain there as a permanent part of the theatre’s mission to become as inclusive as possible.